Today’s drawing is for my brewskee-ball team photo. We’ve had a ton of silly costumes over the skeesons, but for this year we chose to have an illustration for our trading cards. 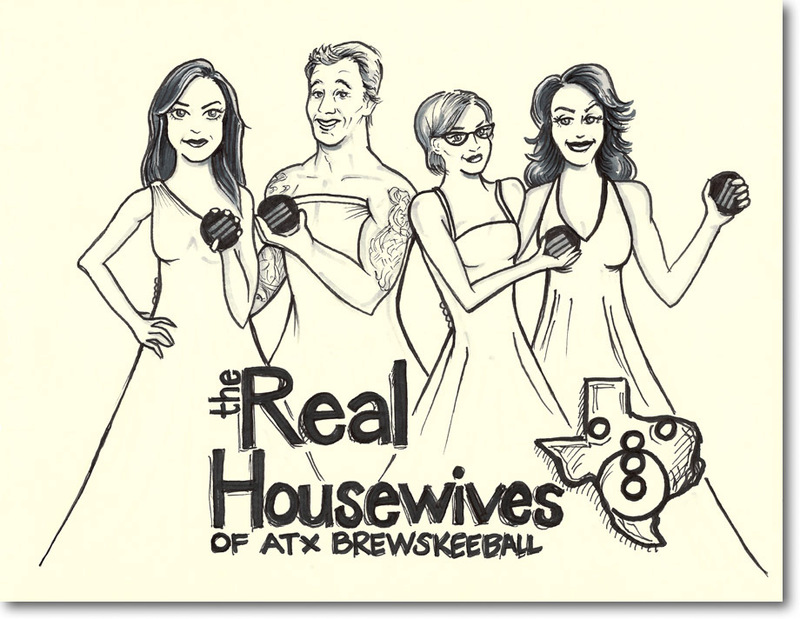 All team members are fans of bad TV, however, us ladies are partial to the real housewives…namely, New York, Beverly Hills and the OC. Proudly, we came in first place for our division and earned ourselves the coveted pint glass!